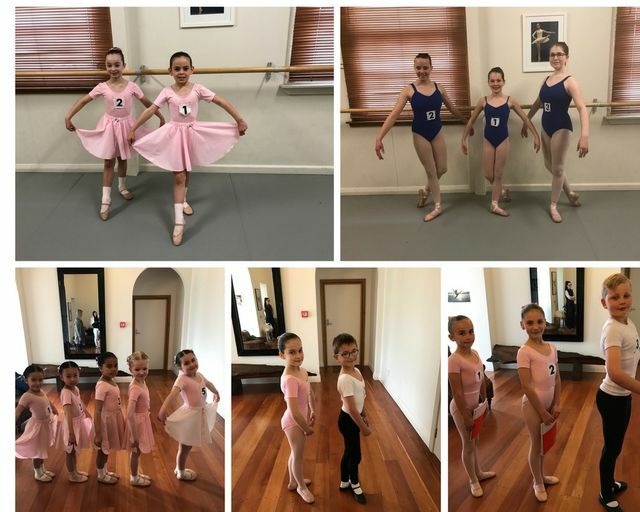 Earlier this year Anna Chandulal from Whanganui Ballet started on Movitae, in a recent catch up she told us about the ways she is using Movitae with her dance school, we loved her feedback and wanted to pass this on. Thank you Anna for writing this blog for us! I started the Whanganui Ballet and Dance Academy ten years ago, this month! Prior to this, I had taught in Palmerston North and Auckland (New Zealand). My primary goal, was to create a school that delivered high-quality teaching in dance, in particular, ballet, as it is the foundation of all dance styles. I wanted a school that gave children good, basic technical training, so if they wished, they could progress to full-time training with confidence. I'm also a firm believer that the structure, discipline and focus of ballet in particular, gives all children life skills that will equip them well for adulthood. I had often seen articles about Movitae and understood that it was used in the scholars programme at the New Zealand School of Dance. At that time, I had two students who were scholars, who were using Movitae for extra conditioning work and pointe work. I thought these exercises would be useful for my other students and around that time, Movitae contacted me to join their organisation. Straight away I could see how useful the technology could be in the classroom. Many children in the area I live in, cannot commit to more than two classes per week due to financial considerations. Movitae enabled them to take the classroom home. I can give them simple reminders and technical points and they can practise their work, it's the visual cue right in front of them. It has also meant my many working parents could 'see' what their children needed to practise and could assist them. This was particularly useful with the younger grades who all needed to learn a solo dance for their exam. Many of the little ones simply could not always remember what was taught in class and if parents were not present, they couldn't assist. With Movitae recording the section learnt, it enabled students to practise easily at home and their parents could actually see, what the end result should look like! I also used Movitae to teach new choreography for competition work. It meant I didn't have to desperately try and remember what we did ' last time' it was all there, on our timeline! Initially, I felt a bit 'spooked' by the technology. I'm not super comfortable with computers and wasn't sure I would be able to ' learn' what to do, on my own. However, Jess organised a training session over the phone for myself and my colleague. This was fantastic as I could ask questions and be taken step by step through the whole process. The example newsletter to send out to parents to enrol them onto Movitae was very useful too. When I first started to use the system, I used the 'help' desk quite a lot when I forgot how something worked. People always responded to my questions promptly and guided me through the system in easy to understand terms! My students love it that I'm using technology in the classroom. They know I'm not a whizz and think it's great that I'm doing ' techno' things! They all love to see themselves and have been enthusiastic demonstrators! I love all the extra conditioning work and incorporate a lot of these, into my ' pre-pointe' class. I have also used many exercises in my adult pilates class. Sometimes I have had students injured and I can send them extra exercises to aid them in their rehabilitation. It also enables injured students to remain 'connected ' with the school. I certainly see the role of technology increasing in the classroom. The great thing about Movitae for teachers like me is the support you get in learning how to use this technology. It gives me the confidence to try something new and know that I have support if required. I'm probably not utilising the system completely yet, so I'm looking forward to some time over the holidays to 'play' with it. Perhaps another training session! To all teachers who haven't yet joined, I would definitely recommend Movitae. And don't worry about learning to use the technology, if I can do it, you can too!